11 am to 11 pm, Wednesday through Sunday. Other days and times by appointment. We believe wine is an important element of life’s most memorable celebrations and also essential to the enjoyment and appreciation of each day. Our wines are created with both in mind. So, save a bottle of Night for your most memorable events or simply experience Night with your favorite cheese, candles, and friends…just because. Mystery. Adventure. The Romance of Night. We believe in the magic of Night. When creatures emerge from their hiding places and the vines replenish their energy. And, when people connect with friends and family to celebrate life’s most memorable moments. That’s the essence of Night. We welcome you to experience the magic of night – and share the luscious fruit of Night Wines. 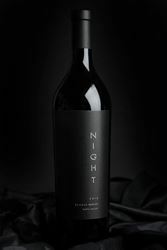 To join the wine club, visit www.nightwines.com or call 707-337-3304. The NIGHT Club gives you priority access to limited allocations, special offers, complimentary tastings, and private event invitations. Club100 members (first 100 NIGHT Club members) also receive invitations to private events and winemaker’s dinners, complimentary tastings, and special allocations and offers. Enjoy your VIP treatment as a Napa Neighbor with NIGHT Wines. Come and enjoy one of our relaxing tasting experiences in the heart of downtown Saint Helena. Try our guided wine flight experience with cheese and small bites paring at a private table or in the Vault, a $45.00 value at a locals price of only $35.00. We also sell wine by the glass and by the bottle. Located at 1351 Main Street inside The Saint Wine Bar. See you there! We are open from 11:00 am to 11:00 pm.